Clash of Clans rolls out new update, version 6.56.1 which introduces Clan Wars. 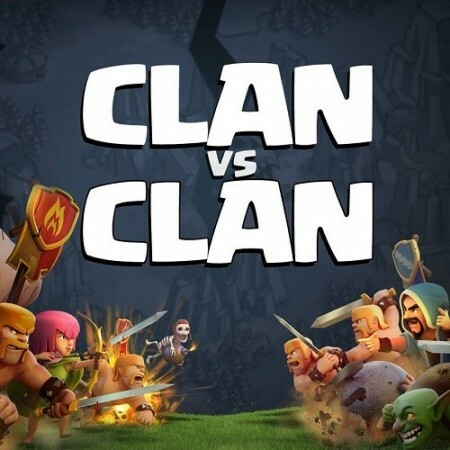 Developer, Supercell's popular strategy game for iOS and Android, Clash of Clans gets a new update, version 6.56.1 that introduces Clan Wars in the free-to-play video game. Clan Wars are strategic battle between two clans. Clan Wars are two day event, involving preparation day and battle day, where each participant can attack twice during the battle day and at the end the clan that earns the most number of stars from attacking will win the clan war. Every successful attack will allow each member of the clan to get some loot, but only the winning clan will get a big loot bonus. During a clan war, the resources of your village, your trophies and shield are intact and not affected. The matchmaking works when leaders or co-leaders take the initiative and press "Start War" button on the Clan War screen. The opponent clan will be searched based on the size equal to your clan. 10 vs 10 members is the smallest possible team size for a clan war. Other possible team sizes are: 15 vs 15, 20 vs 20, 25 vs 25, 30 vs 30, 35 vs 35, 40 vs 40, 45 vs 45 and 50 vs 50. The matchmaking will be based on the strength of the members, explained Super cell in the forum. Supercell is a Helsinki-based company whose Clash of Clans was on the top 5 download list since December 2012. The company generated $2.4 million per day from Clash of Clans and Hay Day games, reported Business Insider. Fight clan versus clan in strategic showdowns that is full of bonus loot. Fill your clan's War Log with the details of each epic fight. Battle for two new achievements: War Hero and Spoils of War. Rally huge clan support with Clan Castle level 6. Clan Castles now protect war loot payouts and are lootable in battle. Higher level Clan Castles hold more loot. Only clan members can see what troops are hiding in the Clan Castle. The Gem Box is back so keep an eye out for these mysterious boxes packed with gems. All Gem Boxes will now give more gems than the original ones. You have to be in a league to let the statistics of the number of attacks and defences won be shown. Confirmation button added to Global chat reporting. After the roll out of the updates, players had to wait for long time to start the Clan Wars, many complained that it was not working and was glitchy on Clash of Clan's official Facebook page. 1. Clan Chat Lagging or posts not appearing. 2. Clan wars not finding a match. David DeBernardi said that it was "not working - just searches and searches and searches but no clan war. what a waste of time!" Sharon Ramirez added that "several of my clanmates can't request troops, clan chat is lagging and drops posts and my GC & FB friends don't show up anymore"
But many players commonly rued about Clan Wars not working with one player, Jeremy Burroughs saying that it was "Worse than Obamacare website." Supercell issued a statement saying that it was looking at the issues and was working on them. "The Clash team is working hard to get things running smoothly. Oh, and no need to cancel matchmaking to keep playing, just use that little red X button instead," is said on its Facebook page. It said that Matchmaking can take up to 60 minutes and players should not cancel it. Players are not required to be on the matchmaking screen while it is searching, they can even log out of the game while the match will be found. However, on an average, it takes five to ten minutes to find a match. It clarified that these issues were "mainly due to server load" and they are working to finding a solution for these.